Australian hotel operator Mantra Group (ASX: MTR) has secured management rights for the Soul Surfers Paradise residential tower. Mantra Group, under its upmarket Peppers brand, secured both the management and caretaking rights associated for the iconic 77-level tower, after managing the tower as agents for the receivers and managers since November 2013. Mantra Group CEO, Bob East, said the team was delighted with the acquisition. “Importantly, our guests will continue to enjoy exceptional five star Peppers service as we consolidate Soul Surfers Paradise as a pre-eminent luxury resort complex in Australia,” Mr East said. Resort Brokers Australia agents Glenn Millar and Alex Cook handled the sale on behalf of receivers and managers at PwC, running an international Expressions of Interest (EOI) campaign that closed on April 13. [urbanRelatedPost][/urbanRelatedPost]“As anticipated, the campaign drew very strong interest, attracting enquiries from more than 20 parties, including major Australian and international hotel and MLR operators and consortiums,” Mr Millar said. “Mantra Group was ultimately the successful bidder in a highly competitive and fiercely contested sales campaign”. Mr Cook said the sale underlined the strength of the Gold Coast market and positioned Soul Surfers Paradise in a category that could be termed a “super group” of management rights. The sale of the MLR business of Soul Surfers Paradise is an important milestone in the realisation of the assets of the Soul development project. 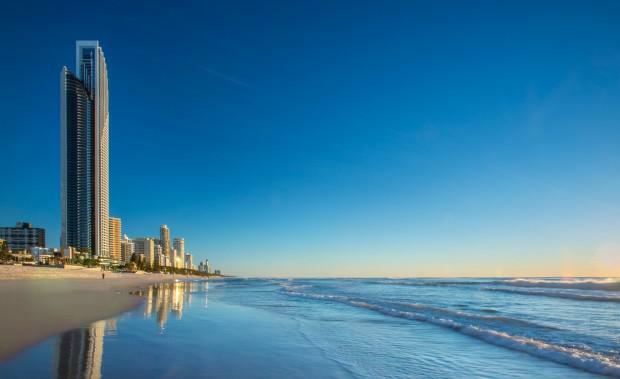 Receiver and manager Michael Fung from professional services firm PwC Australia, said the receivers and managers were pleased with the level of interest and price negotiated for the MLR business at Soul Surfers Paradise. Mantra Group also provided an update on expected earnings for the 2015 financial year. to report FY15 EBITDA within the range of $71 million - $73 million and NPAT within the range of $35 million - $36.5 million. The expected result is above the current FY15 EBITDA and NPAT forecast reported in Mantra Group’s prospectus for IPO of $69.5 million and $32.6 million respectively. Launceston and Mantra Collins Hotel Hobart, which commenced trading this week.